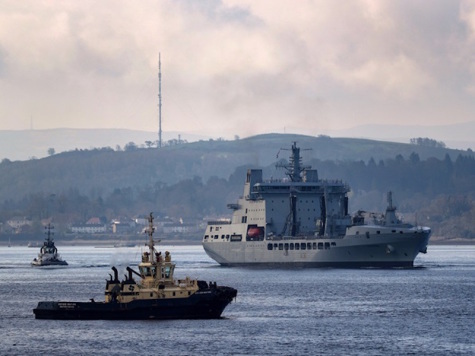 More than 11,600 military personnel from 17 nations will take part in Exercise Joint Warrior for two weeks this spring in one of the largest exercises of its kind in Europe, operating out of Her Majesty’s Naval Base (HMNB) Clyde, Scotland. Defence Secretary Gavin Williamson said: “Joint Warrior prepares our troops in the best way to meet the intensifying threats our country faces by providing a major opportunity to exercise with our allies. The bi-annual exercise is running from the 21st April to 4th May, and incorporates all three UK services as well as forces from 16 other nations including Denmark, Estonia, Latvia, Lithuania, the Netherlands, Spain, Sweden, and the US. Linked to the NATO exercise programme and open to Joint Expeditionary Force (JEF) Partner Nations, Joint Warrior also hosts non-NATO partners such as Australia, Finland and Sweden. This year the training scenarios involve multiple sovereign nations disputing resources and territories; counter-terrorism and anti-smuggling activity; information warfare; and evacuation operations. The exercise will provide NATO allies and partner nations the opportunity to train together across air, land, sea and cyber domains, practicing “high-end” war-fighting between near-peer adversaries. Spring is in the air in Faslane… RFA Tidespring that is, arriving at the Royal Navy’s home north of the border for the very first time. The first of the UK’s new tankers built specifically to support HMS Queen Elizabeth-class aircraft carriers and their task groups, Tidespring is the second largest vessel on the Navy’s books after the future flagship. After supporting training for Royal Navy and foreign warships off Plymouth, the 37,000-tonne floating petrol station will be key to providing ‘black gold’ to participants of the first of this year’s Joint Warrior exercise, the biannual air, land and sea workout for the UK and Allied armed forces. The naval element is dictated from Faslane, where ships such as the American Arleigh Burke destroyer USS Ross have begun to gather ahead of JW getting under way in earnest on Sunday and Monday. Thirty-nine naval units from 13 nations will take part with many of them using maritime exercise areas off the western and northern coasts of Scotland, including Cape Wrath. Such is the scale and scope of Joint Warrior – run each April and October – that it will also embrace the Sennybridge exercise area just outside the Brecon Beacons and Salisbury Plain. The exercise is due to conclude on May.